Nickolay Mladenov concerned over UNRWA's financial crisis as school year about to begin. The UN special envoy to the Middle East Nickolay Mladenov on Tuesday urged U.S. President Donald Trump to resume funding he had cut to the UN Relief and Works Agency (UNRWA), the UN agency which assists “Palestinian refugees”. 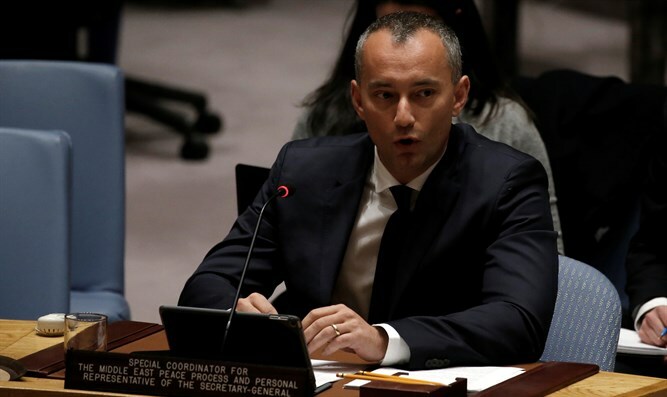 Addressing a UN Security Council meeting on the Middle East and quoted by Haaretz, Mladenov said that "UNRWA’s financial crisis remains a very serious concern. At present, UNRWA needs some $217 million to sustain its work in 2018. I urge the swift mobilization of support to enable the continuity of assistance and a maintenance of stability on the ground in the region." "UNRWA has communicated to staff that every effort will be made to mitigate the impact on the most vulnerable refugees of reductions in emergency assistance. Of particular concern, is the possibility of a delay to the start of the school year for some 526,000 students in UNRWA schools throughout its areas of operation," added Mladenov.